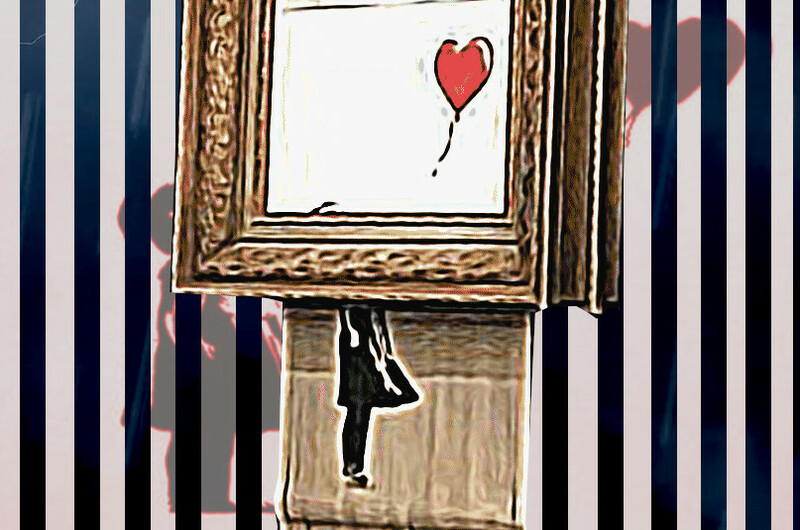 Banksy's iconic "Girl With Red Balloon" street art went under the hammer at Sotheby's in a custom frame of the artist's own design; moments after it sold for £953,829, a booby-trap kicked in, drawing the canvas into a series of shredder blades built into the frame, rendering it down to a pile of forlorn strips of shredded cloth. The art speculation market has run white-hot for a decade and more, as inequality floods of dark money has sought highly liquid, tax-invisible assets. As a result, the world's most important art treasures sit in climate controlled containers in "freeports," changing hands without ever moving, seen by no one.